San Jose, CA - Another season of fun events at Evergreen Village Square will be kicked off at the end of April with the annual EPIC Festival. The event brings together the various cultures of the Evergreen community to celebrate and appreciate the cultural diversity of the area. Saturday April 30 will be the annual EPIC Festival. EPIC stands for Earth, People, International, Culture, and was started by Vice-Mayor Rose Herrera nearly a decade ago to showcase the rich cultural diversity of the Evergreen area. The Vice Mayor will be there to address the crowd and get the festivities started. Emceed by the famous Lori and RJ of Cotton Candy Express, the event will again feature local dancing and singing groups both young and old. Many different cultures and traditions are represented at the EPIC Festival, often wearing beautiful and colorful costumes. 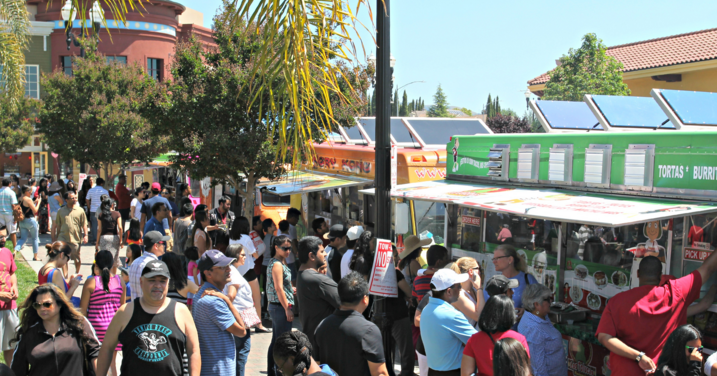 The event coincides with the weekly Off the Grid Food Trucks, allowing festival goers to enjoy a wide variety of food, adding to the international flavor of this event. The popular Friday Night Music, Art and Wine events will take place June 24, July 22 and August 5. A free family-friendly movie will be shown after dark at all three events. There is always something going on at Evergreen Village Square! Stay up to date with what is happening at the Square on the Evergreen Village Square Facebook page, or visit www.evergreenvillagesquare.com for a complete detailed list of events at the Square.